I bought this denim shirt from Topshop last summer. It cost about £25 (I think) and I thought it was a bit pricey at the time, but after countless wears it’s become one of my favourite ever purchases. The lightweight cotton makes it perfect for warmer days, although with a vest underneath or cardigan on top it’s great for chilly ones too. It’s a fitted style so works well when worn with looser pieces and can be dressed up with tailored trousers or down with floaty skirts. Whenever I’m having a wardrobe wobble it’s the first thing I turn to. If only it would iron itself! 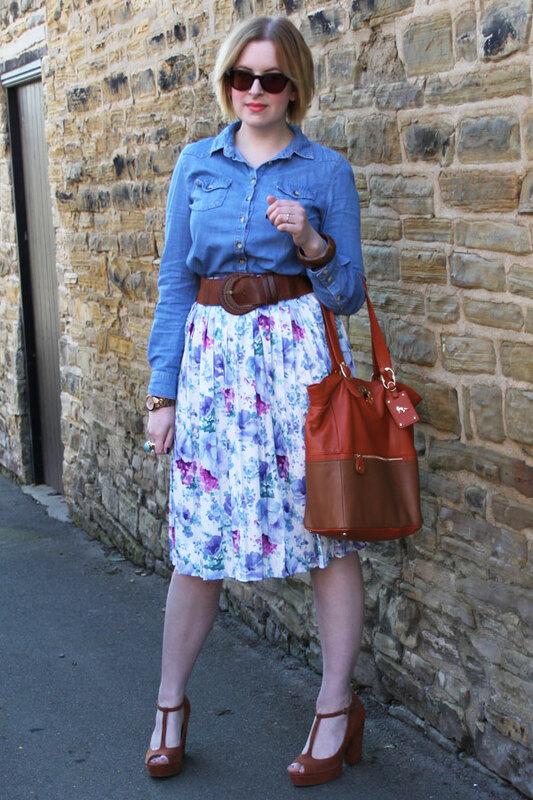 This time round I paired it with a vintage skirt picked up in Paris (another wardrobe favourite, although maybe not quite Hall of Fame material), a chunky belt and heels and my current go-to bag. 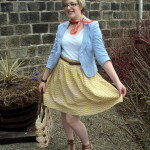 A quick and easy outfit for such a glorious day… although running for the bus in those heels was quite a task! What’s in your Fashion Hall of Fame? Do you have an item (or a few) that you wear over and over and over? I would definitely agree with you on the denim shirt… I have a couple and I wear them all the time. Stripey tee-shirts are my other complete weakness, I think I own about 15! I don’t tend to wear jeans very often but when it gets to the summer I tend to default to stripes and denim skirts/dresses. They are basically my summer uniform! Yes, I love stripy tees! Another entry to my Hall of Fame, I think. 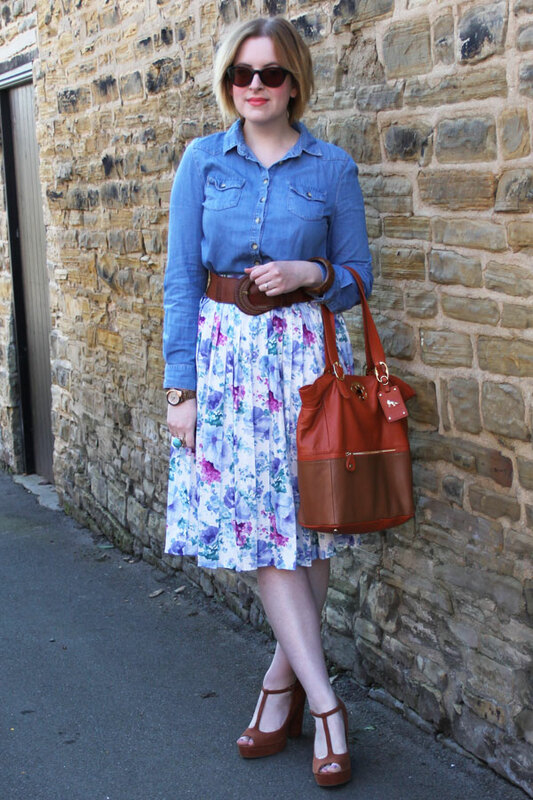 I’m on the lookout for a denim shirt, it looks lovely with the floral print! This is such a good idea for a post, I can’t wait to see what item you pick next. I’m not really a fan of denim shirts myself. I think it’s because my go-to item of clothing is my jeans and I would never want to wander into double denim territory! That skirt is so nice, and the denim shirt brings the outfit up to date, excellent! At the moment when I don’t know what to wear I just grab my riding pants as they go with everything. Easy! Men, eh? What DO they know? Nothing, I say. Go ahead and wear your denim shirt with pride! Haha! Aaah, great minds. Looking forward to your post – let’s share the denim shirt love! I’ve got that shirt! Though it suits you so much more, I never know how to wear mine! Awkward, as it’s one of the easiest things to wear in the history of wearing things (?) 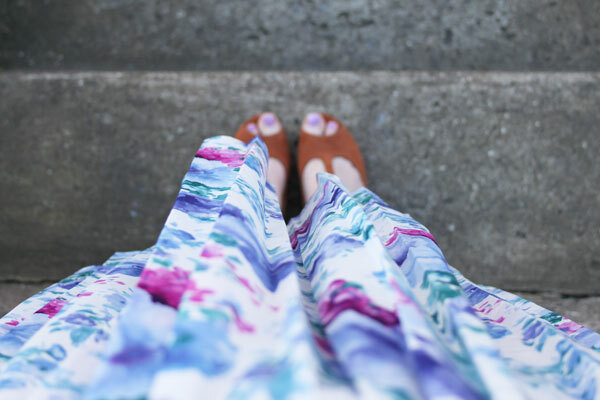 but I don’t feel I can ever wear it with denim shorts – double denim isn’t very me – and I don’t have an amazing floral pleated skirt like you, so yeah. 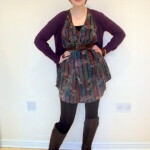 Lovely outfit and blog post idea. 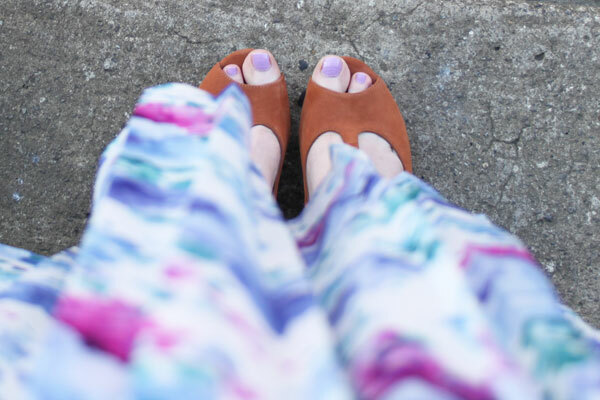 I really adore your shoes – so stylish but wearable. I love the denim shirt with the flowy skirt. Very cute. But I especially LOVE THE shoes!!! my favourite dress! i wear it alllll the time. I like your blog! I have a denim shirt almost identical to yours and it is actually awesome (wasn’t sure if I was going to wear it much at time of purchase, but I do all the time). I love your blog! I am also a massive TK Maxx Lover. 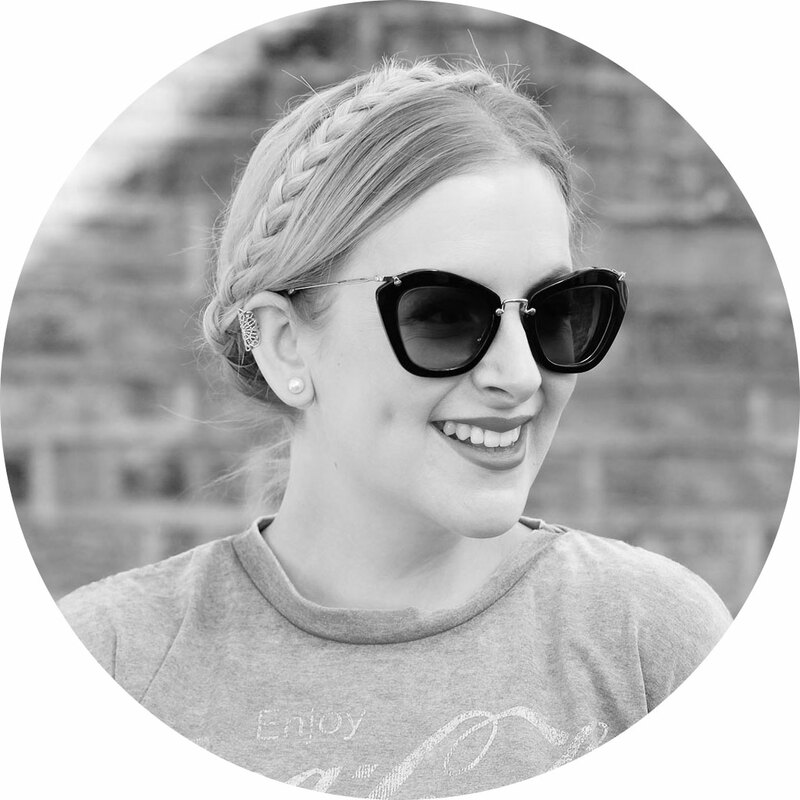 My denim shirt is my favourite clothing item of the moment so much so that I wrote a blog entry all about how to wear it 3 different ways. the chancellorship for himself, but was rejected by hindenburg on august 13, 1932.